Plot Outline: Rango is a pet chameleon always on the lookout for action and adventure, except the fake kind, where he directs it and acts in it. After a car accident, he winds up in an old western town called Dirt. What this town needs the most is water, but they also need a hero and a sheriff. 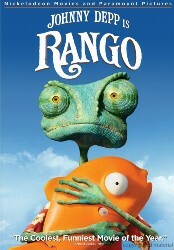 The thirsty Rango instantly takes on the role of both and selfishly agrees to take on the case of their missing water.